Minneapolis has never held much mystique for me. 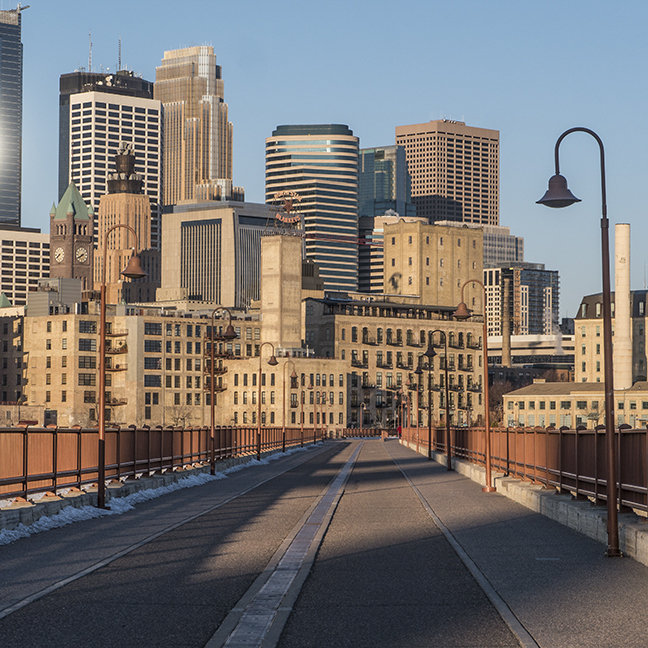 Even the name — Minneapolis — suggests that the founding fathers didn’t expect much of their little mill town on the Mississippi. 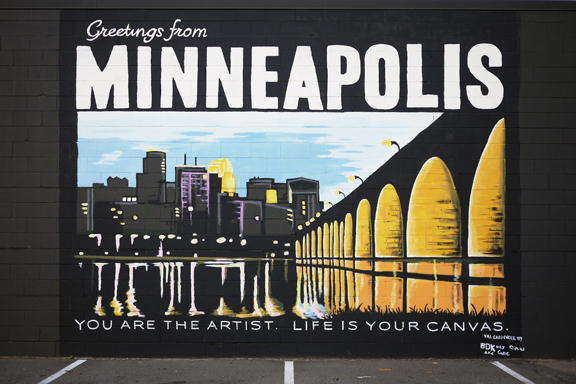 But as I’ve been working on some tourism materials over the past two weeks, I’ve found myself growing more curious about Minnesota’s biggest city. 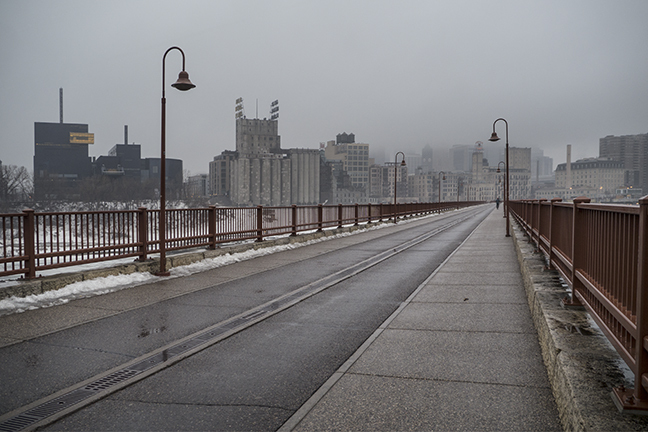 With the pretext of doing research, last week I went for a couple of strolls on the beautiful Stone Arch Bridge. Begun in 1882 by railroad baron James J. Hill, it’s the only arched bridge made of stone on the entire length of Mississippi River — and also the second-oldest. 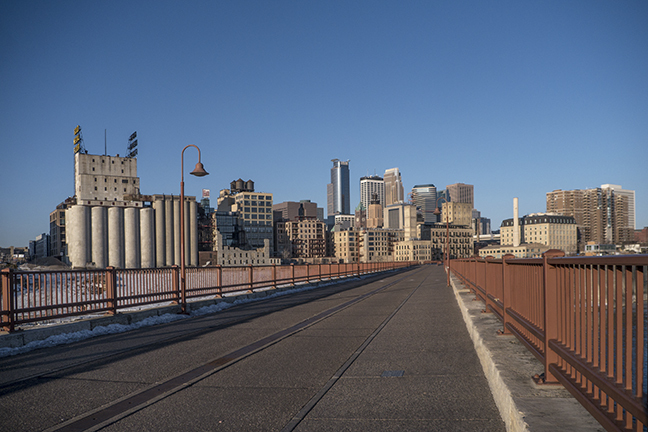 In its heyday the Stone Arch Bridge carried thousands of boxcars full of grain and flour, ready for export around the world. But since 1994 it has carried only bicyclists and pedestrians. … and ditto at 7 a.m. on a Saturday. But the lack of people-watching had an unintended side-effect: I noticed how many of the old, historic buildings still exist — and maybe for the first time ever, I was truly curious about their history and lore. With that in mind, I’ve started work on a self-guided walking tour (much like the one I did for photographers in Paris). But that will take a few weeks. So, for now, greetings from Minneapolis! I look forward to the self-guided tour of Minneapolis. Love this. It will help me look at scenes I view, but don’t quite SEE, every day with fresh eyes. 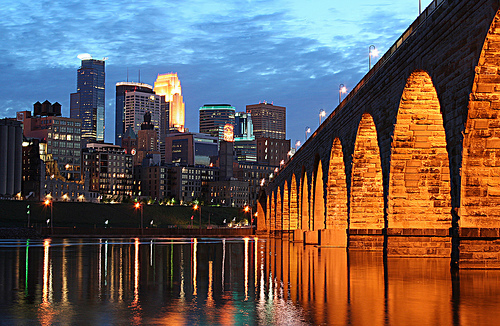 I forget how beautiful Minneapolis can be! Nice, the second photo is beautiful. Great pictures! I always enjoy exploring bridges and the area around them. They almost always have a fascinating story to tell. I’m looking forward to reading about your walking tour. Oooh, I would simply *love* to show you around, Rochelle! 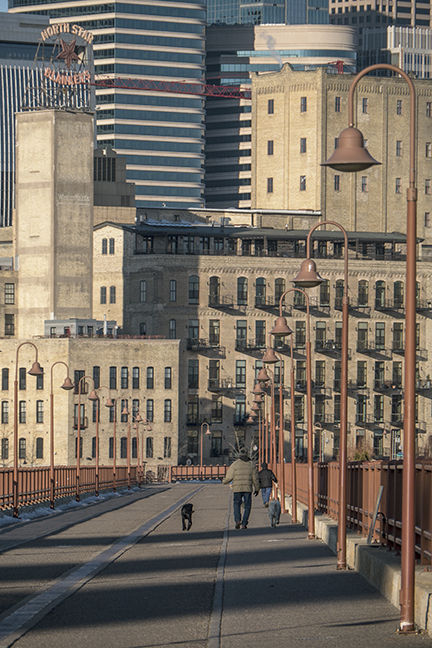 I sometimes take Minneapolis for granted because — let’s be honest — it suffers a bit by comparison to some of my other favorite cities around the world. But I do think it’s one of the most interesting, vibrant, culturally rich cities in the US.